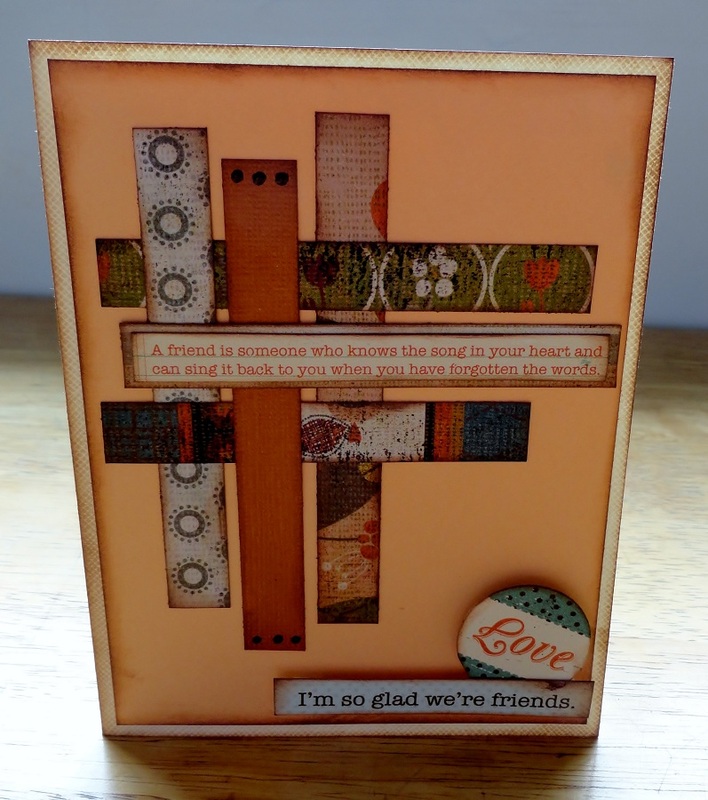 Pages From the Heart: Our Final DT Reveal with Becky! Today we're back with out final Design Team reveal, which is from Becky! But don't worry, we'll be sharing the Design Team Challenge projects next week! Let's take a look at Becky's cards! The design team assignment for this month was to create 3 cards, with one of the cards being "masculine." 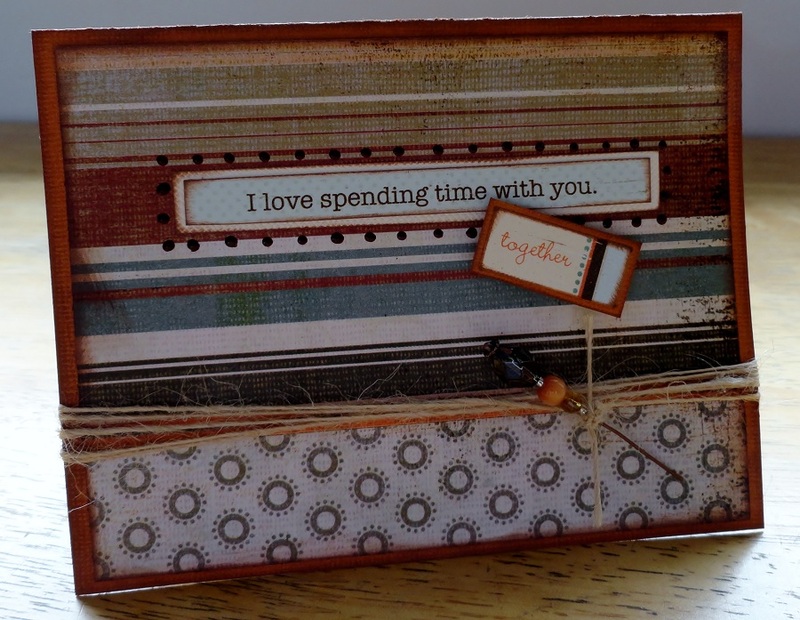 When making this card I kept my husband in mind and created something that I would give to him. The rich, rustic colors of the Basic Grey "Pyrus" line coupled with embellishments from Authentique's "Gathering" collection made this very easy. Along with the DT assignment I also tried to create cards that could be made using scraps to encourage myself (and maybe others!) to finally use all of those little pieces of paper I cling so dearly to. I covered my card and added the two sentiments. I wrapped the bottom portion using jute and added a stick pin. I made my own stick pin using head pins and beads that I found in the jewelry section of a craft store. Using Diamond Glaze (Glossy Accents would work, too) I adhered the beads to the pin. I finished the card by adding some accents using my Pearl Pen. Continuing with the idea of using scraps, I found this wonderful CardMap by Becky Fleck. I used 1/2" strips and wove them until I was happy with the look. 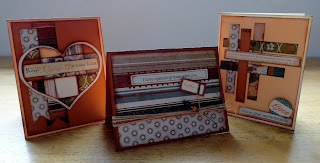 I added some sentiments from the Authentique Noteables and Expressions cards and finished it all with some accents using my Pearl Pen. The quote, "A friend is someone who knows the song in your heart and can sing it back to you when you have forgotten the words," really struck a chord for me and I know exactly who I will be sending this to! 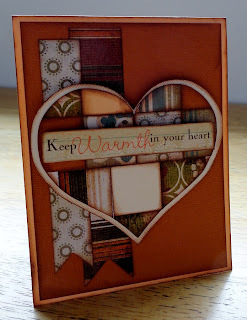 Other: Heart cut on Cricut using George and Basic Shapes at 3" and 3 1/4"
I made this card by taking a couple of cards I had seen on Pinterest and smashing them all together! 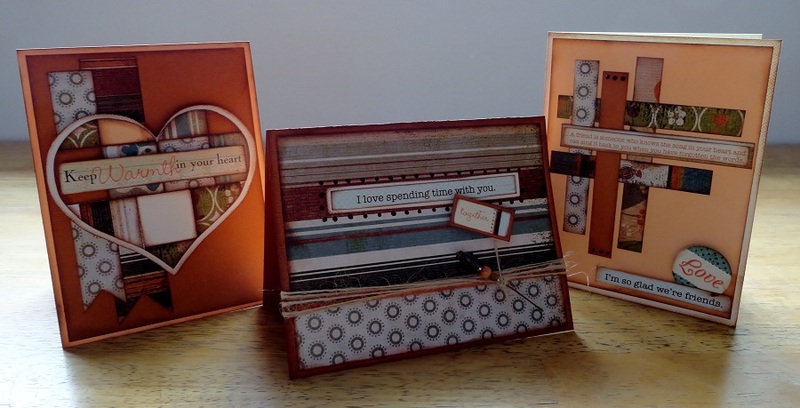 I had seen the idea for the heart recently on the Pebbles Inc. blog and in an issue of Scrapbook Etc. I started by cutting two hearts on my Cricut, one at 3" and one at 3 1/4". I used my scraps and cut several one inch squares. Starting in the center of the heart, I started layering the squares. Once the heart was covered (there are two small spaces that didn't get covered but I hid them by using my distress ink!) I turned it over and trimmed off the excess. 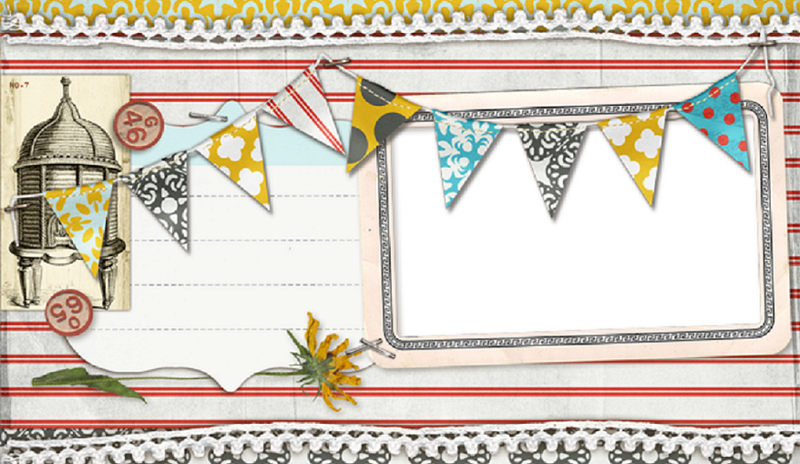 I added two long banners and a sentiment from the Authentique Noteables card. Thanks, Becky! These cards are wonderful and I hope everyone feels full of inspiration after all of the teams projects! Have a great weekend and we'll see you next week with more challenges!